When we step in front of a painting or when we stand at the base of a sculpture, our eyes take control of the show. Scanning the forms before us, they wander across lines, encounter combinations of colour and glance at the nearby wall text. The gallery is indebted to the act of seeing, visual perception taking its privileged place on the white wall pedestal. Indeed, the traditional gallery is devoid of sound. In this enclosed, cloistered space, a reverent hush blankets the air. This veneration of vision was advocated by Surrealist Andre Breton, who insisted that “visual images attain what music never can.” “The eye exists in its savage state. The marvels of the earth … have as their sole witness the wild eye that traces all its colors back to the rainbow.” The “savageness” of vision is pure, its immediacy uncontaminated by the calculations of reason (or as Breton maintained, “bourgeois reason”). The Haywood Touring exhibition Listening invites us to approach its art with, in light of the prevailing tradition, fresh eyes. Curated by Sam Balifante, it’s an exhibition that interrogates the act of listening itself, encouraging us to open our ears, not only to the artwork, but to the gallery and the individuals within it. Unlike its visual counterpart, sound is, in its very essence, elusive. It evades our grasp entirely, dispersing into the air around us. Of course, the object from which the sound emanates might certainly be a part of the artwork, yet is not necessarily the crux of our experience. Instead, that experience departs from the object, filling the space between us and the artwork. Its origin need not even be known for us to experience it. Addressing the practice of the traditional White Cube space, Brian O’ Doherty posits the gallery as a closed space in which a strict system of values abounds. 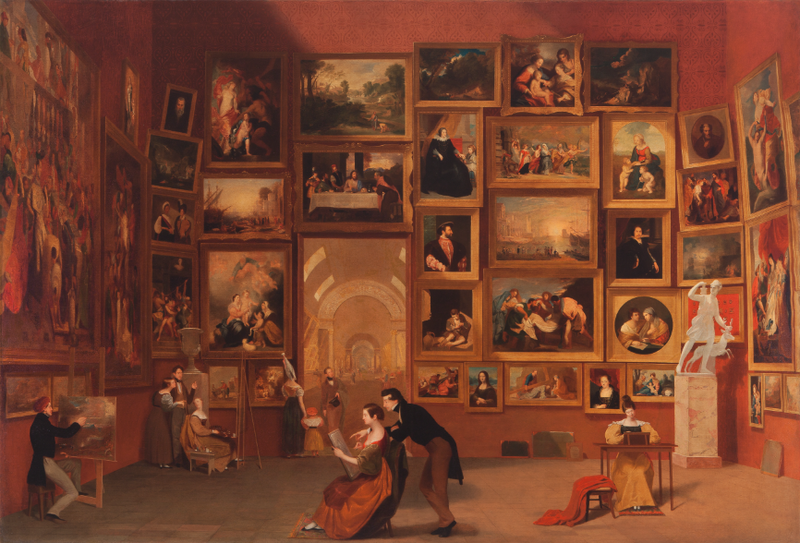 Here, “eyes and minds are welcome, yet space-occupying bodies are not.” A gallery is ultimately a place with a wall, covered itself with a wall of pictures. Yet, Listening seems to break through these very walls, elevating the space itself to the forefront of its visitors’ experience, bodies and all. It is the very void of the room that is crucial, as sound moves through the empty space, around the bodies, to meet us. 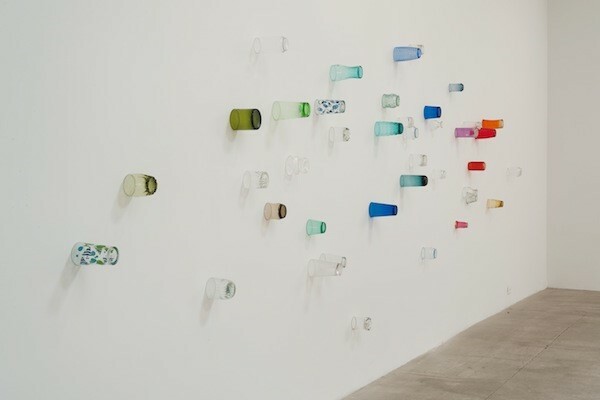 Amalia Pica’s Eavesdropping (2014) presents a white wall, along which a winding array of colourful glasses are stuck. Inviting us to press our ears to the wall, in an attempt to hear conversations and happenings beyond it, her installation melts into and inhabits the wall itself. No longer an unapproachable façade against which artworks are presented, it becomes integral, and inseparable, to our experience of the artwork. In fact, the artwork moves beyond the wall, connecting its viewer with the spaces behind it. Of course, press your ear to one of the glasses and there’s not all that much to hear. It’s a tantalising deception, a promise of aural voyeurism that is never achieved. Perhaps this attentiveness to our aural perception is the closest we might get to concentrating on the act of listening itself. The space of the gallery is a shared one, and this is integral to the exhibition. Unlike the White Cube gallery, Sam Balifante wants to add the space and its bodies into the mix. Hannah Rickards’ Thunder (2005) is one such piece which thrives on this collective aspect, a clap of thunder that has been stretched in duration and aurally dissected, transcribed by musicians and then morphed back into its original short burst. The only reference to the work as a whole takes the form of a traditional wall text. Yet the sound itself is played sporadically a few times an hour, filling the room unexpectedly. If you’re in a rush, you could potentially miss it all together. 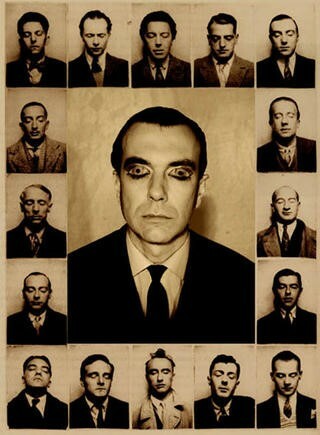 To look is an act of choice, but sound is more difficult to avoid. Rickard’s piece is an assertive presence, filling not only the shared gallery space, but the more intangible space of time. Claiming everyone’s attention simultaneously, it ultimately brings them into the same moment through the mutual experience of noise. In that same space however, Laurie Anderson’s seminal piece The Handphone Table (1978) seems to subvert the possibility of shared experience by seizing and containing sound explicitly within the artwork’s form. A bare wooden table has been wired up so that, when visitors place their elbows in the depressions and cover their ears with their hands, they can hear the music through their bodies. Anderson’s work ultimately makes its sound exclusive to the two individuals that approach it, inaccessible to the rest of the room. Yet it is in fact a more intimate sharing of experience that The Handphone Table initiates. Rather than moving through the gallery space around them, the sound moves through their bodies as they become part of the artwork together, needed for its completion.